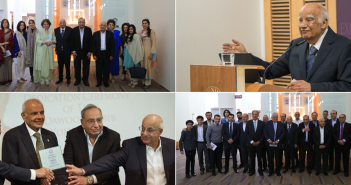 Founding President of Habib University, Wasif A. Rizvi, in an established tradition, asked the students to stand and acknowledge their parents with gratitude for bringing them this far. After all, only five per cent of the world’s population ever attends university. He first presented some statistics of the incoming class. 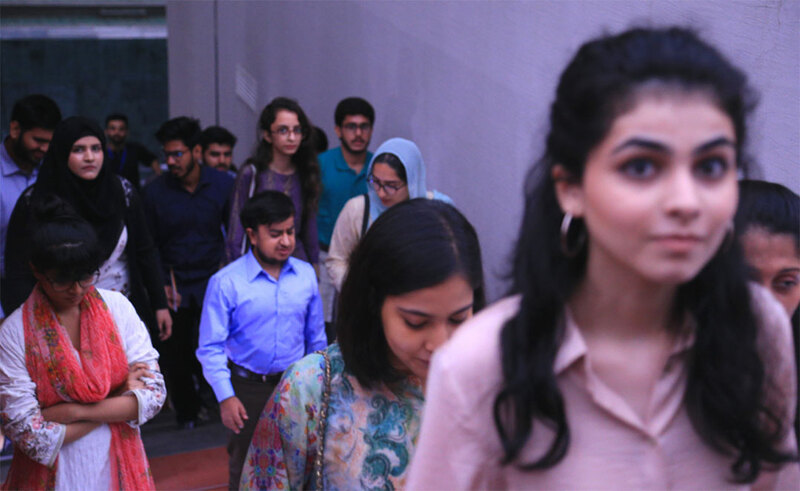 This year more freshmen students will be studying in the Dhanani School of Science and Engineering, which is remarkable in the more crowded market of science education in Pakistan. 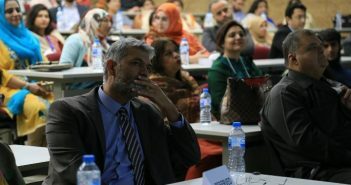 “We are also lucky to welcome 25 students from outside of Karachi – as far away as Skardu and the Middle East, and on the eve of 14th August are particularly happy to celebrate this diversity.” Academic distinctions and highest position holders of schools boards are amongst the credentials of the incoming class. Paying tribute to the faculty, he said that “we could not even have conceptualised this without you”. Attracting eminent scholars “is a big deal”, and since this very month, the university boasts 62 full-time faculty trained from around the world. “Global outreach is one of the key features of our story.” Noting that these are more than MoUs but partnerships in action that craft the intellectual fabric, he invited the new students to think forward to study abroad opportunities with Stanford, Michigan, Berkeley, and soon the Claremont Colleges: “Part of the reparative process of postcolonial society involves going abroad to experience other parts of the world with your own eyes” as well as participating in the platform for engagement with the world and it’s scholars that regularly come speak at Habib University. To enable all those merited to participate in this transformative four undergraduate years, Habib University has unprecedented scholarship and financial aid programs. “The thanks for ensuring a qualitatively different, diverse student community and experience goes to our donors.” Numerous teams across campus – from academic advising to careers services – enable success during and even post-graduation. 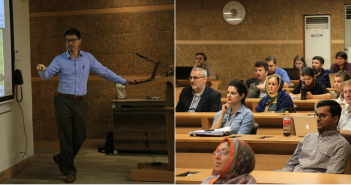 Continuing into the evening, two parallel sessions familiarized both parents and students in more depth to different aspects of the university. In the auditorium, Dr. Anzar Khaliq told the parents that “We have learned a great deal about the importance of what we are trying to do at Habib. 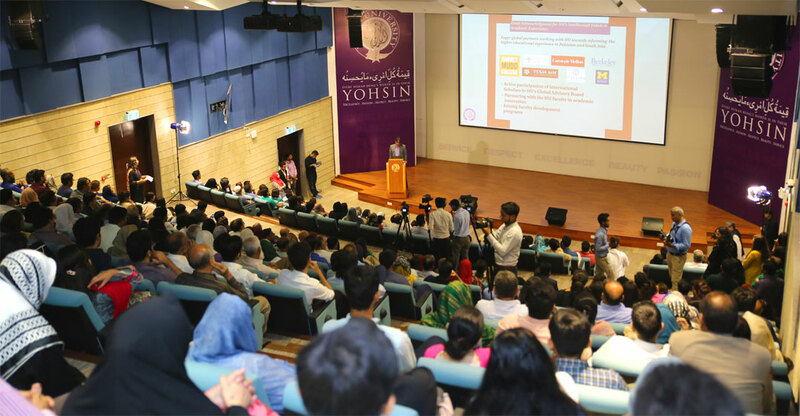 There is great reason we chose this place to work, from inside and outside of Pakistan.” He spoke about the way that students study changes altogether, and that they will learn to develop social links that take them forward throughout life. A parent of a current student encouraged with the following words: “You will face challenges with change. With change comes pain. We didn’t identify our daughter’s mistakes as failures but told her those were opportunities to learn and grow”. Many parents had the opportunity to ask questions with regards to extra-curricular opportunities, assessment and support, as well as the importance of studying Urdu literature at Habib University to deeply engage with the local context. From the entire Habib community: Welcome, Class of 2022!